I have always loved country music. It usually tells the story of someone’s life through their own eyes. Country songs are powerful, and they can be emotional, too. My favorite country songs are about love. In honor of Valentine’s Day, here are seven of the best country music songs that represent love. This song is beautiful. It tells the story of two lovers who have been apart for many years, but whose love has never faded. “Austin” shows that you should always try to make relationships work if you truly love someone. “Forever and Ever, Amen” is a country classic. If you listen to it with your significant other, it will definitely remind them, of how long you’ll love them – forever and ever. It’s a tearjerker, too, and it will make your relationship with your partner that much closer. “Check Yes or No” tells a beautiful story of childhood sweethearts falling in love. It brings you so much nostalgia for those elementary school days when you had your first crush, and love was simple. After hearing this song, you’ll definitely want to ditch Tinder and go back to those days when your crush brought you dandelions! “Die A Happy Man” is beautiful and poetic. Every time you hear the lyrics, you will cry yourself to sleep, especially when you’re thinking of your sweetheart. And if your boyfriend sings this song to you this Valentine’s Day? Well, you’ll be the luckiest girl in the world! Although this is actually a breakup song, it’s a great choice to sing to your ex when you want a second chance. “She Wouldn’t Be Gone” reflects those feelings of realizing that you screwed up, wishing you had never taken your lover for granted, and doing everything you can to win them over again. This song is perfect for the couples that are on-again, off-again. If you can never seem to decide whether or not to stay with each other, you’ll definitely relate to this country tune. And guys, if you’re confused in your relationship, sing this to your significant other to let them know where your head is. This song is beautiful, and its lyrics are extremely powerful, too. “Wanted” describes what every girl wants to hear from her Valentine – that she is wanted and loved. Not only is this country song perfect for wooing your significant other on Valentine’s Day, but it’s also great for those everyday moments in your relationship when you just want to let your partner know that you really do want them. 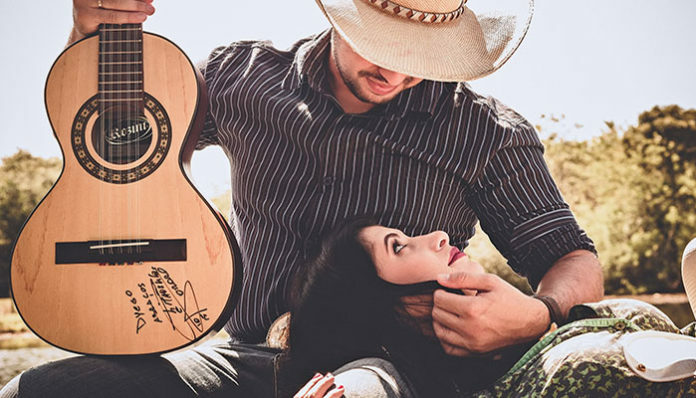 These country songs are fantastic choices for Valentine’s Day, and they’re sure to make you and your partner fall more deeply in love. Cuddle up with your significant other, crank up the music, and celebrate a country Valentine’s!